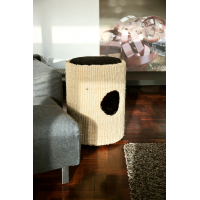 ​​Please get in touch to find out more about our amazing cat posts. 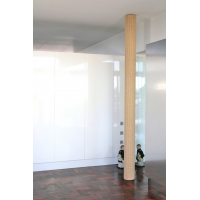 Hicat® makes floor-to-ceiling modern cat poles that bring out the natural agility in cats to promote exercise, well-being and interactive play. 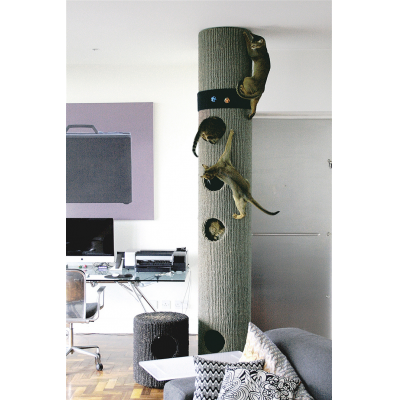 We wanted to give cats the opportunity to do what comes naturally - climb - but indoors, in safety, on something that is tree-like in scale that looked amazing. Motivated by our cats' instinct to climb we started our own DIY project and came up with a simple one piece floor-to-ceiling cat post. We continued experimenting with various shapes, sizes and materials, and finally got to a version of the Hicat® that we make in our London studio. ​Small floor foot-prints, huge climbing surfaces, a choice of durable finishes, shelf and feature options plus accessories allow you to create the perfect Hicat® indoor playground for your cat. 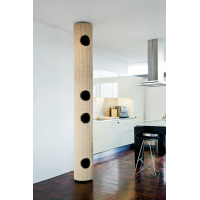 Hicat® cat trees mix contemporary form with cat friendly design - they are the only made-to-measure floor-to-ceiling cat towers in production. 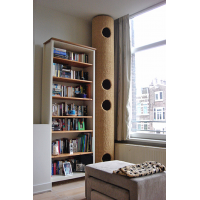 Hicat® cat climbers are design registered, hand made to a very high standard, are incredibly strong and easy to install. 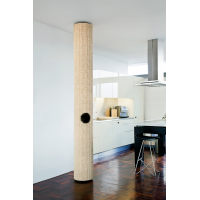 Please read our customer reviews to see what cats think of our modern cat poles.